I LOVE writers and producers who make me look and sound so much smarter than I really am! Being the last character to chime in is also compensated for by the fact that they let me have the voice that’s the most fun! …at least, I think so. So instead of the usual psychologist’s “Lie back und tell me all about it”, why not sit back…and let us tell you all about it. No, I don’t think anyone’s ever accused me of having Adonis DNA, and I can’t even handle Dr. Pepper, let alone TigerBlood. But I knew early on that the relative anonymity of being a Voice Talent and Actor could still have its rewards. 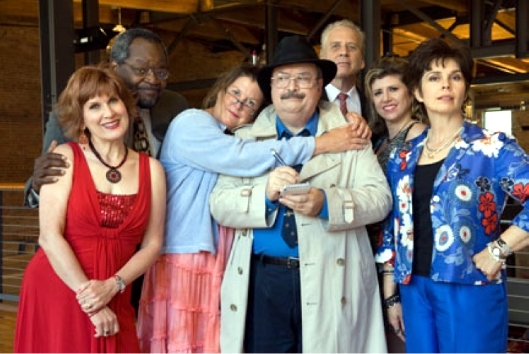 Fighting Crime and Craziness with "It's A Mystery"
Sometimes there’s a tangible, immediate benefit: like the talent fee and the wonderful dinner our It’s A Mystery group received from the Fayetteville Shriners after a recent performance. But the good feeling that has lasted even longer was the news that we had a small part in helping them raise around $8,000 for a kids’ burn center. 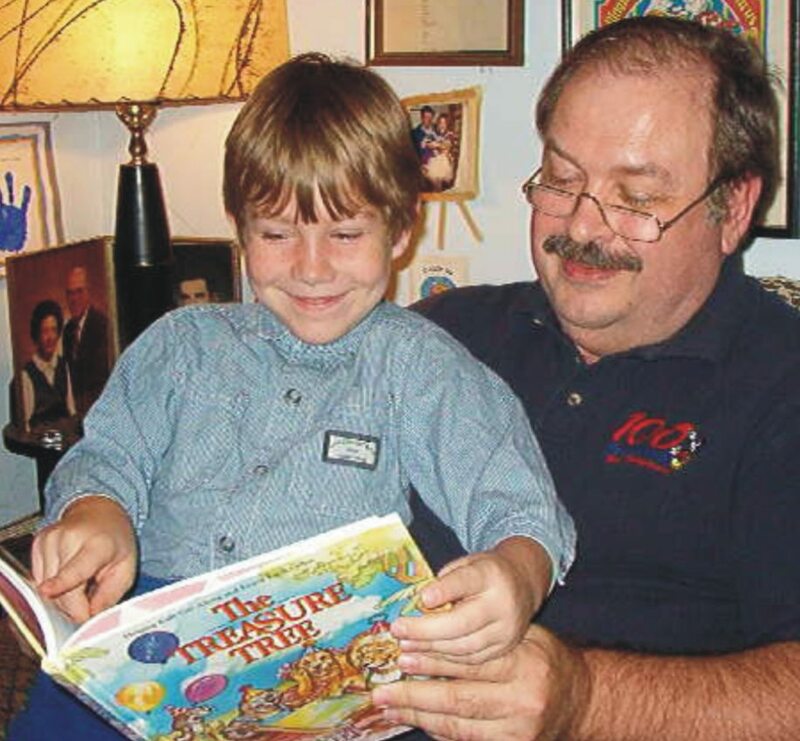 Reading with my young son, Ricky, back when he was a LITTLE boy. More of my time has been devoted to volunteer reading lately for an outfit called Gatewave, which provides free audio content for the blind and visually impaired. I’ve always loved to read, and used to get scolded by my kids when I didn’t “do the voices” as we went through the stories. I agreed to do regular reads for Gatewave at the behest of friend Melissa Exelberth, and the group’s director asked if I’d like to read old Science Fiction short stories from the pulps instead of news stories from current publications. I jumped at the chance for the more creative outlet, and of course immediately found out I’d been away from long-form reading longer than I’d realized. Also, of course, I picked a story with lots of characters and a long runtime. Still, thanks to my editing skills it all worked out fine. And each successive story block I’ve read for them has become a little easier. The payoff…other than feeling good about doing something good for someone I’ll probably never meet? I’ve noticed in the last few e-learning narrations I’ve been paid to do, that I’m doing them better. I can handle the long-form without getting tired so soon. And, I’m a better “teller of the corporate story”. My friend Bob Souer is even encouraging me to add audiobooks to my demo list, based on what he’s enjoyed of my Sci-Fi tales. In some ways, things like these are instances where it appears you really CAN have it both ways. So don’t diminish things you’re tempted to try just because of the pricetag or the amount of work for the fee. While I know a guy’s gotta make a living, and I fully subscribe to my radio friend Bob Inskeep’s motto “Ya can’t eat ‘Famous’…”, there sometimes CAN be something in it for you. …even if it isn’t all about you. My First YouTube Video…Is a Viral Audio. With all the buzz about Aflac throwing open auditions for anyone to become rich and famous replacing Gilbert Gottfried as the annoying voice of the TV Commercial Duck, I’m probably the only voice talent in America that isn’t submitting an audition. Because if I did, it would probably go something like this. 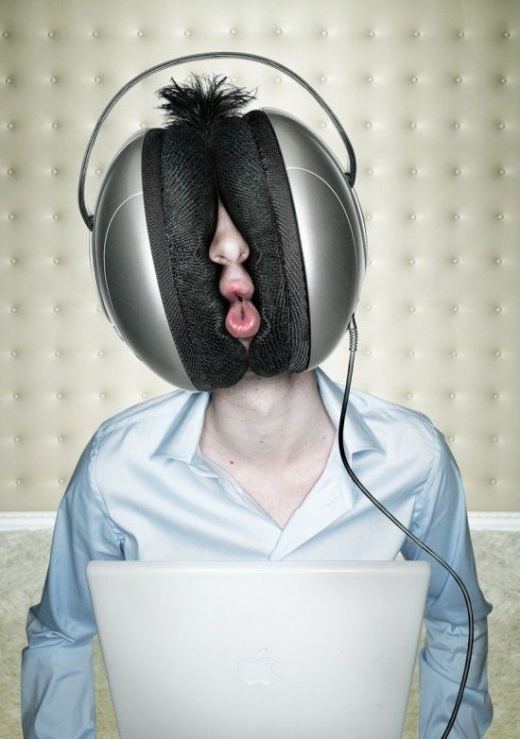 As I’ve gotten more training in voiceovers, I’ve been conflicted by those like Marice Tobias who profer…yea, insist…that wearing headphones during performance limits what the voice actor can do. To someone who entered this field via Radio (back when it was Radio, not just a satellite relay service), this has always been hard to grasp. I mean, aside from the fact that in Radio we usually had to have the headphones to hear the other elements we were mixing together…how can you tell if you’re giving the performance you intended to if you aren’t able to properly listen to yourself? Well, the idea is: listening is both a blessing and a curse. Having tried it both ways (and now work with only one side of the ‘phones on), i have to admit I can sometimes hear a positive difference when I’m brave enough to go without the headphones in the booth, but have never really come close to understanding the reasoning behind the concept…until now. …John Deaver, voice coach to Grammy nominee Sara Bareilles since 2005, who has also worked with Cher and other celebrities. Deaver’s advice is: You can’t be a singer and a listener at the same time. Some people critique everything that comes out of their mouth, but listening to your voice too much is a form of hesitation, he said. I suppose it’s akin to the feeling of not giving a full on-stage performance when part of your mind is concentrating on your blocking. Knowing how inept I can be at muti-tasking, it’s not much of a stretch to admit I could possibly be putting myself more into a performance…if part of my mind wasn’t split off and distracted somewhere, “running the mixing board” at the same time. ‘make any more sense to you? Sometimes ya just gotta know when to use a pause to its best effect. Radio/TV/Comedy legend Jack Benny knew that better than anyone. He even let his writers poke fun at it in what turned out to be a classic exchange on his radio program, when confronted by a holdup man played by Mel Blanc. 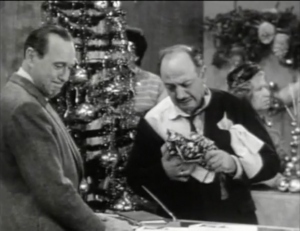 Jack Benny and Mel Blanc on the Christmas Show. Different Script. Different Pauses. Mel: Okay, buddy, this is a stick up. Now come on: yer money or yer life! Jack: (Yelling Back) I’M THINKING IT OVER!!!! Most pauses aren’t that funny. Like the one I finally gave into today. After an insane workload leading up to the end of last calendar year, January has been calm to say the least. And what I have done, I notice doesn’t have the level of sharpness and energy I’d like it to have. Today, with the community iced-in, and even the phones silent, I should have used the pause to finally work on my studio clean-up…or begin tax prep…or get on the phone and start trying to make new contacts. Instead, I gave in, and spent the most productive hours of my day on the recliner, under a blanket, with sinus medicine, the ever-present diet coke, and one cat sleeping on my legs and another cat sleeping next to my head. Sometimes a voice talent just needs to know when to be quiet, and use the pause. …a status which I’m going to return to right now. my friends may conclude I forgot them this year. it’s caused me to seem like a Grinch or a Scrooge. all due to the work with which I’m inundated. my main Christmas shopping was amazon-dot-com. But I shouldn’t complain, and I shouldn’t be stressing. This fourth-quarter bounty has been a real blessing. to whine about business would make me a jerk. though I can’t do it justice till the end of the year. It’s been busy…for which I’m thankful. It’s been insane…for which I’m realistic. There have been so many doors opening and closing around here lately I feel like I’m in one of those cartoon haunted house chase scenes. The comment was part of a fascinating interview Paul Strikwerda did with Claire Dodin, which you can read here in its entirety. But it ties in with what I had already planned to do in wrapping up my fourth-quarter goals: concentrating more on finding people who need what I sound like…rather than knock myself out trying to be the online audition equivalent of “Caller Number 10” on those radio station giveaways we used to have to do. More on the transition later. 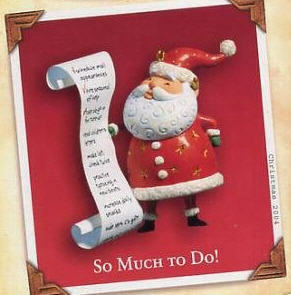 Too much work to do now (thank goodness). I’ve got at least two sets of spots and another half-hour program to get ready for air tomorrow. Meanwhile…grab onto Miss Claire’s quote and use it to boost your own confidence in your own future and in your own career. …and start considering how much time would be better spent working for people who want YOU…not just another blind audition. Pack It Up. Move It Out! What a Concept: Somebody Cares What You Think!